This page describes 4 of the most common knee injuries that we see in our clinics. These injuries can be sustained in a number of ways, from sporting injuries, to trips/falls or as a result of biomechanical abnormalities. Please have a read through the conditions listed and if you have any concerns that you may be suffering with any of the symptoms described, or anything that sounds similar, then please give one of our clinics a call to arrange an assessment appointment with no obligation for follow-up. The anterior cruciate ligament is located within the knee and is often considered a primary stabiliser for the joint, preventing the anterior (forward) ‘shift’ of the tibia (shin bone) during weight bearing activities. If seriously damaged ‘giving way’ can be quite common, especially when twisting and/or changing direction suddenly. If not treated promptly and properly there is an increased chance of causing further damage to the joint, ligaments and/or cartilage (abnormal wear & tear). Treatment: Depending on the activity level of the patient this can be managed conservatively with physiotherapy. Otherwise surgery is an option, in which case physiotherapy and rehabilitation is of paramount importance when aiming to return to pre-injury levels of activity. Two ‘C-shaped’ discs of cartilage act as shock absorbers within the knee and improve the congruency (fit) of the knee joint. These discs can be damaged to varying degrees depending on cause of injury, although generally it is twisting movements which are most likely to result in this type of injury. 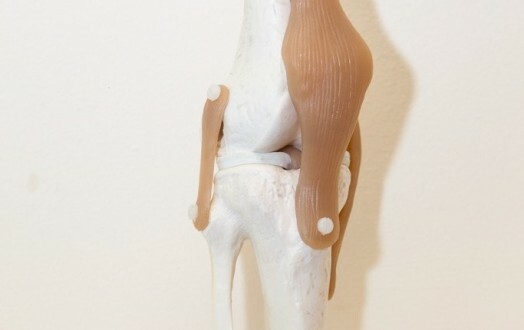 In front of the knee joint, the patella (knee cap) sits snugly in the groove of the femur and acts as a pulley for the quadriceps muscle group which a one of the prime movers of the knee joint. Due to a sudden increase of activity or an imbalance of the connective tissue, pain can arise as the patella is repetitively pulled slightly out of position. The patella is secured to the tibia by way of a strong tendon. During high intensity activity, microtears can occur within the tendon, sometimes at a faster rate than the body can repair, thus causing degradation/inflammation of the tendon. Continuing the same activity once patella tendonitis is established can lead to further chronic degradation of the tendon and also cause imbalances in the lower limb Kinetic chain due to weakness and tightness. Adherence to a specific and structured exercise regime (eccentric loading) provided by your physiotherapist has been shown to be a successful method of conservative treatment for patella tendonitis. Steve, who is a patient at our Pudsey clinic came to see us due to an ongoing knee problem which was stopping him play golf, and even hindering him getting up the stairs. Listen to his story below! 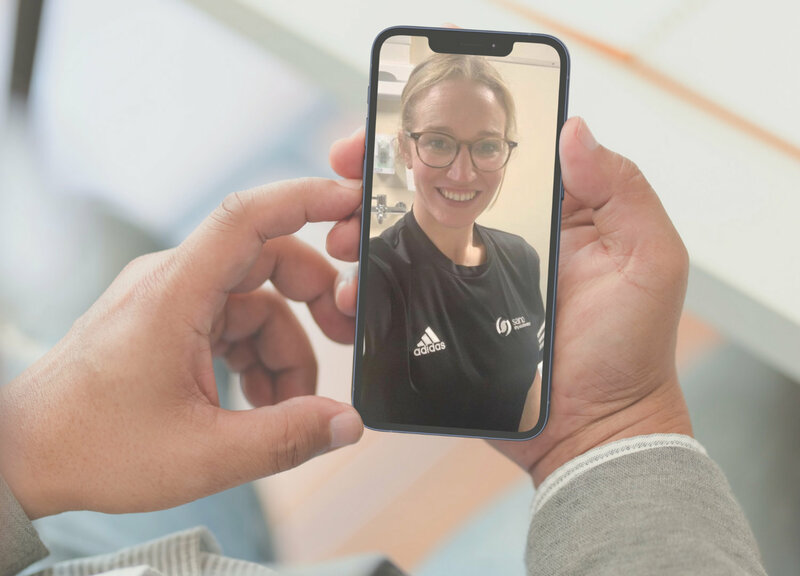 If you would like to find out how we could help your knee problem, simply find a clinics near you to find a clinic near you and contact us by using the form provided or calling 03300 41 46 70 to speak to our team.